GOOGLE’S GRAY AREA. When you tell Google to turn off location tracking, seems like the company takes it as more of a suggestion than a command. On Monday, the Associated Press (AP) published an investigation that reveals that many of the services Google offers to Android and iPhone users don’t actually stop recording their location after users opt out. And lawmakers are threatening to crack down on the company as a result. FOLLOWING YOUR FOOTSTEPS. Some phone apps simply can’t work if they don’t know your location. For example, how is Google Maps supposed to give you step-by-step directions if it doesn’t know where you are? However, Google’s apps don’t just access your real-time location — they also store your location history, recording your every move. The AP investigation found that this wasn’t true. Even with Location History turned off, Princeton postdoctoral researcher Gunes Acar’s Android phone tracked his location over the course of several days based on his Web & App Activity. Whenever Acar checked the weather on his phone or conducted a web search, Google noted and recorded his location. STANDARD PRACTICE. Google denies being anything but clear with users about its tracking. According to WIRED, though, adjusting a phone’s Web & App Activity setting is complicated and not all that intuitive. 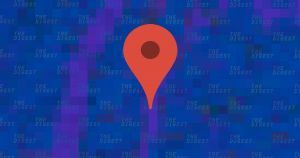 Given Google’s recent push to drive ad revenue via location-aware tracking, it’s not hard to see how the company benefits from making it not so easy for users to ghost it. This isn’t the first time that some of Google’s activity has been found to be ethically questionable. And as lawmakers step up to rein the company in, it might want to reconsider just how much your location is worth.